One to watch out for: A serious new contender for the modelling pedalboard market? 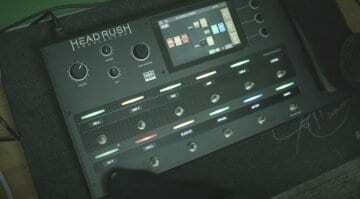 Newcomer company HeadRush is about to present a new pedalboard product at the upcoming NAMM Show. The board should be shipping the first quarter of this year, we understand. 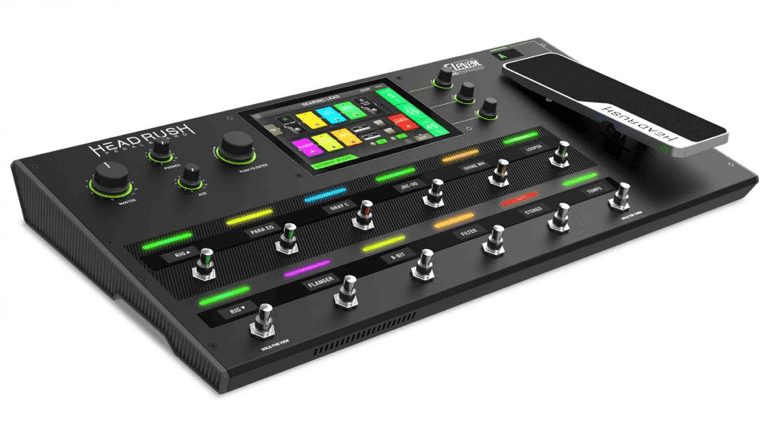 Looking like it’s raring to take on the Line 6 Helix, the HeadRush Pedalboard dispenses with menus, potentially making it very intuitive to use. 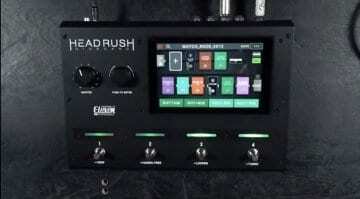 The people behind US firm HeadRush are no strangers to guitar effects, utilising the brains behind the Digidesign Eleven DSP to engineer this new product. Unfortunately, no detailed specifications are available at the time of me writing this article, so we will have to wait and see what exactly is under the hood. But we do know that this board has 7″ touch screen in the centre, as well as twelve footswitches, each with an OLED display. It looks cleanly laid out and not too dissimilar to its main rival the Line 6 Helix, which itself is currently in favour with many of my gigging guitarist friends. With an integrated 20-minute looper, “gapless” switching between presets, amp modelling via DSP and supposedly on-board virtual cabinet/mic modelling, this new product does sound really interesting. We are breathlessly awaiting the release of in-depth information at the NAMM Show. Touch screen here or there, it will all come down to the sounds it can produce. This is where we will definitely have to wait until the NAMM Show to hear it in action. The company tout it as being a “most versatile, realistic-sounding and responsive” piece of gear, but we’ve all heard marketing hyperbole before. Until I actually hear one myself, I will be reserving judgement. But it’s clear this is definitely one to watch out for. Here’s hoping it sounds as good as the marketing is leading us to believe. My personal gripe with any of this type of product is that companies tend to release them before they’re ready for market. Your average gigging guitarist ends up ‘beta testing’ them in front of a paying audience. 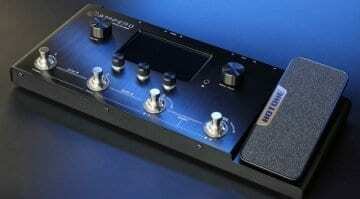 I really hope it is market-ready and has no glaring bugs, unlike a certain Helix pedalboard which launched despite being buggy and causing customer complaints. 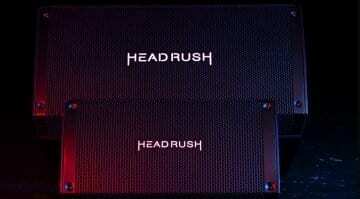 You can now hear Sarah Longfield giving the Headrush a serious workout in the company’s official YouTube demo.